CAREFREE – As people age, many experience disc degeneration or spinal stenosis, however, despite what some folks may have been told, an epidural or surgery is not the only option. 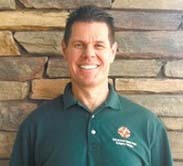 Dr. Jay McFarlane of Carefree Acupuncture and Chiropractic said patients come to him for different and more gentle techniques for relief. Sometimes trying a conservative approach is the answer! McFarlane is all about helping the body heal itself. He wants his neighbors to realize they shouldn’t make acupuncture and/or chiropractic a last resort. He’s helped lots of patients get relief when it comes to post-surgery failures. “Patients are stunned how relaxing the treatments are. Often, and this happens particularly with women, they can’t take 20 minutes out of their day to relax. If you don’t take time to rest, you can’t heal properly,” McFarlane explained. For folks with fears of needles, know those used in acupuncture are five times smaller than typical needles. They aren’t painful. “We have eight rooms, so we can certainly accommodate walk-ins,” he assured. “I want people to know it’s all about comfort. This is a safe place.” The majority of patients have some degree of pain alleviated in a single session, though McFarlane said they need to give him the opportunity to get to the cause of the problem to aid in remedying it. A win scenario doesn’t only come with less pain intensity. When McFarlane reduces frequency or duration, patients welcome it. “It’s not uncommon for people to be skeptical of ‘less traditional’ medicine, but when they try it, they see the benefit firsthand,” he added. Like any malady, the faster McFarlane can get to work on it, the better. And he’s always open (and encourages) working with clients’ primary care doctors. The best health plan is seeing what Carefree Acupuncture and Chiropractic can do for you. Appointments available at: 7518 E Elbow Bend (Tues/Thurs) at 480-488-9647 or 11030 N Tatum Blvd (Mon/Wed/Fri) at 602-494-3037.